Hello Beauties! 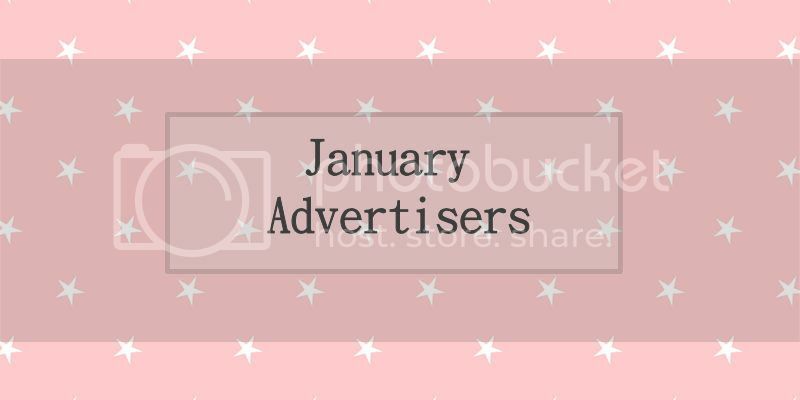 Another month has gone past in a flash and although it’s the first of February today, my first blog post of the month will be a summary of my wonderful January advertisers. I hope you’ve already had a chance to check them out but if not each of them have written a little blurb about themselves so you can get to know more about them. Please let me introduce my January Advertisers…. BekyLou is a Fashion and Beauty blog that I write alongside my full time job. I put as much time and energy into it as I can and absolutely love doing it. I write everything from reviews, Outfit of the days, nail of the days and lifestyle posts where I just like to have a chat and give my opinion. Giveaways are also a regular on my blog where you can win anything from the newest product release, some of my favourite goodies and recently there was even a giveaway to win tickets to the Premiere of Divergent in London. I’d love it if you could take a peep and give me a follow! Laura, a Beauty & Lifestyle Blogger from North East Scotland. I am a coffee drinking, mother of 2 wife of 1.. (lol). Lipstick lover – never usually seen without a bright red lip. A fan of all things sparkly. ‘A Scottish Lass‘ is my night time retreat, a place I can share my loves and meet new friends. You will find an array of different posts on my blog, normally beauty lustings but a few lifestyle posts in there too. Some of my Holy Grail products are : YSL Touche Eclat Foundation, Mac Ruby Woo Lipstick, Mac ‘Constructivist’ paint pot & Clarins Flash Balm. Hello, I am Anna-Maria the writer of Topdraw Fashion. I believe fashion, beauty and fitness alls rom together and this is what my blog is all about. I love bringing you guys fashion tips, amazing beauty finds and fitness tips and tricks. I post every other day, and sometimes more if i can and along with this i have just started a youtube channel. At the end of every week I do a ‘Deal of the Week’ post where I find 5 of the best deals for you and where to find them. Hope you stop by and follow my journey here. Hi I’m Lisa, and I write over at Lisahh-Jayne, a beauty and lifestyle blog. I’m your average 23 year old girl, who’s got a complete and utter addiction to beauty products, mainly lipsticks and nail varnish. I usually write about my mission to find good skin care products, make up, and how I need to stop spending so much money on cosmetics. Tania Michele’ is a beauty and lifestyle blog where you can find reviews of products as well as anything fun that happens in Tania’s life – such as holidays and days out. And occasionally, you might stumble across a YouTube video of a haul or two! Beauty reviews can range from new products to ones that have been around for a while, as a product you may have loved for ages could be a mystery to another reader. ‘Tania Michele’ has been a little space on the internet for over a year now and hopefully it will keep growing! Miss Danielle is a beauty and lifestyle blogger based in Manchester. I am a coffee induced, fitness enthusiast, social media addict and Disney obsessive 23 year old. You’ll find a lot of make-up and skincare reviews, posts from my day-to-day life and a bit of fashion mixed in. After taking a little 2 week break, Miss Danielle is coming back with Christmas present ideas, party outfits to die for and getting that perfect, sparkly look for special occasions over the festive period. 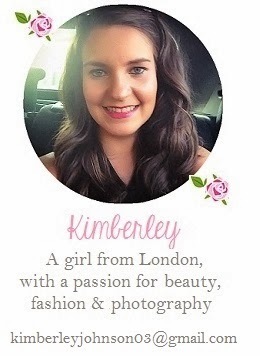 Hey everyone!I’m Stef from scottishstefsnails.blogspot.com and I am really excited to be featured in Kimberley’s post! My blog documents my polish discoveries including swatches and reviews of polishes and nail products. I also post about easy nail art designs that I would like to think that everyone can have a go at. The nail art designs I write about are usually quite expressive rather than precise and intricate so you don’t have to worry about whether your nails looks perfect. I love a good beauty/fashion tag post too! Hopefully you will be able to find inspiration from some of the polishes in my blog if you are ever feeling bored with your nails. I love interacting with all the lovely bloggers out there so feel free to leave me a comment or tweet me anytime!